Expanding your brand by selling across the world is one of the biggest opportunities you’ve likely ever encountered. Currently, Shopify stores sell in 175 countries and the growth in newer geographies is phenomenal. The opportunity for global commerce is undoubtedly massive. However, selling internationally comes with its own set of challenges. Shopify as a platform comes with a global mindset with features that support international commerce and operation. We are continuously upgrading our platform to support Shopify merchants simplify global mobile commerce for Shopify merchants. Majority of the stores that trust us with their mobile commerce have customers across continents and we are building the best of features to support and enhance their global operations. The latest in the list is – Multi-Currency. 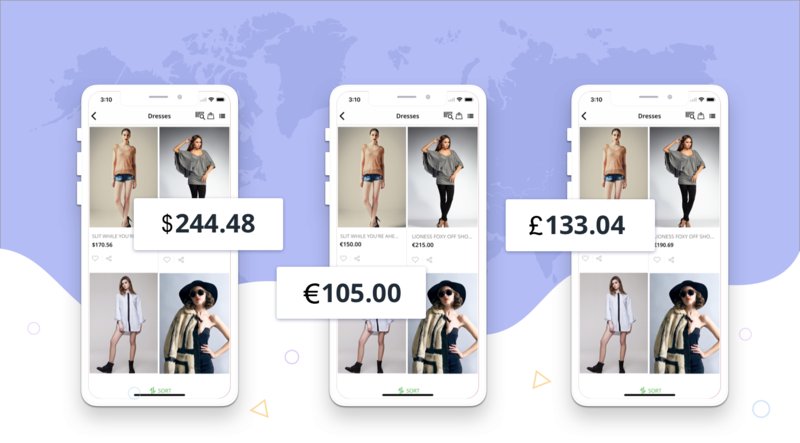 Multi-currency lets the end customer view the product prices in their local currency, providing them with an extra layer of trust and ease of shopping on your app. We have built a native functionality in our dashboard to convert the price shown on your mobile app into the local currency of the shopper automatically. 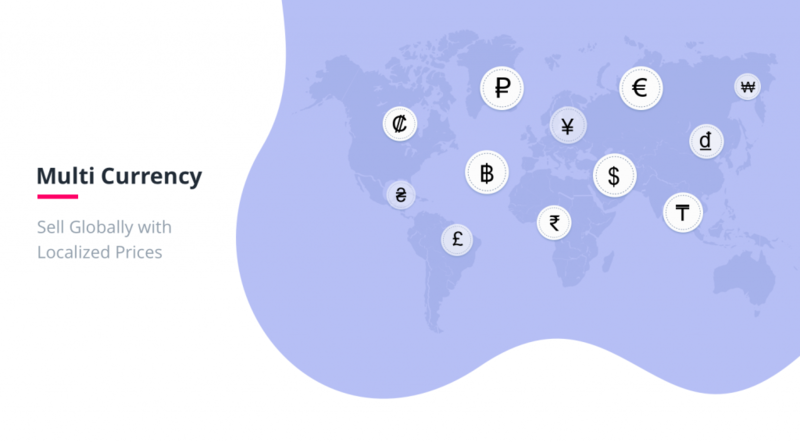 We currently support 170+ currencies across the world and are rapidly increasing that number with the aim of getting every currency that operates in the world, on our platform. How does Multi-Currency work on Shopify mobile app? We have built multi-currency as a native functionality inside Plobal dashboard and we don’t require any external integration with any other Shopify app to make it work on your mobile app. Whenever a customer launches your app, their location is auto-detected and the prices on the app are converted automatically into the local currency. Although our platform support 170+ currencies, you can choose the currencies that you want to operate in and a fall-back currency whenever a user accesses the app from a location out of the list, she sees the fallback or the default currency. Once set-up, our engine auto-detects the currency of the device and changes the price of products on the app in that currency. However if the currency detected doesn’t fall under the defined list of currencies by you, we default the prices to your preferred currency. If you do not wish to define a preferred currency, it defaults to the default currency of the app. The conversion of currencies is real-time and happens naturally. However due to the extreme volatile nature of currency conversion rates, we update the conversion rates every 15 minutes, hence ensuring a flicker-free experience for your customers. How to get it implemented? 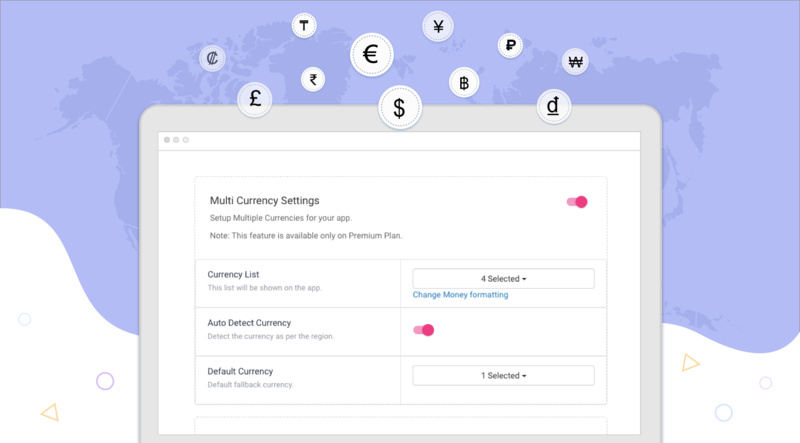 Multi-currency is a native feature of the Plobal platform. You can be on any plan on Shopify and still get this feature on your mobile app. Get in touch with sales@plobalapps.com or support@plobalapps.com to get it implemented on your app, today.